Worldwide, we are facing increasingly important problems in terms of traffic performance that we cannot solve with standard systems (trains, cars and busses) even if we would have the money to build the infrastructure to cope with mobility expansion. Moreover, the footprint on environment cannot reach acceptable targets: Switzerland cannot reach her targets within the Kyoto protocol. Even though the CO2 emissions of buildings have been satisfactorily reduced, the ones associated with mobility have not. So we are facing adverse environmental and societal problems, that are even worsen by the fact that the necessary infrastructure to absorb the mobility increase, even partially and inefficiently, can only be paid by indebting an increasing number of future generations. We have therefore a strong sustainable issue when we consider transportation today. In the past years, digitalization has added a layer to the problem and some people have dreamt that it would help manage the absorption of mobility by transport systems. But it did not offer the necessary degrees of freedom to address the sustainability issues. For companies providing mobility services, it has helped to increase the quality of their services and to allow them to provide a door-to-door multimodal service, which was very difficult because the cost of the organisation for the last mile was prohibitive with classical public transportation systems (busses, railways, tramways). This lack of flexibility can be compensated by a simultaneous introduction of an information system and new integrated services to compete with the classical model of owning a car. A good example is the recent evolution of the Swiss national railway operator, SBB, that now provides a web interface and a smartphone application that allows planning a door-to-door travel using public transportation with an integrated ticket across all transport means, including cars. Real-time ticket pricing is also starting in order to motivate people to use available capacities outside peak hours. Autonomous vehicles, as a long-term perspective, and car sharing, as a shorter-term one, gives even more momentum to this trend. 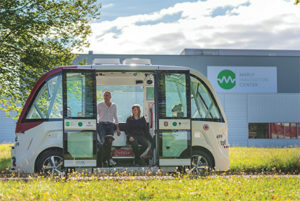 Public transport companies in Switzerland have identified the strong potential of autonomous vehicles to extend their services and offer a better offer. A significant number of experiments involving autonomous shuttles are being started. Digitalization alone cannot solve the problems of traffic performance, but it is a part of the solution. 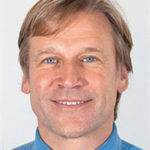 A centralized information system gathering mobility services to have a better real-time view of offer and demand and to connect both of them faster is necessary. Designing innovative transportation means that integrates digitalization and proper technologies to reach better performances than existing transportation means, on existing and new infrastructures. Operating all transportation means, existing and new ones, as services to offer a door-to-door capability and a real-time adjustment of offer and need with an agile scheduling allowing freedom for users to define their own constraints and to allow spontaneity. Considering the progress done in information technologies, complex algorithms development and smartphone capabilities, the second work package can be handled efficiently with existing technologies and present trends. It leads to the perspective of integrating complementary mobility services, some of them based on new transport technologies, in a general mobility management system that optimize constantly offers to needs by mixing adequately transportation means under the constraints of users and to achieve sustainability. The goal of a globally sustainable transport system cannot be reached by uncoordinated competing services that will concentrate on main traffic lines, generates economic benefits for themselves and let the nonprofitable rest to public authorities. The Bellmann theorem stating that the sum of optimized subsystems does not lead to an optimized system clearly expresses the need of integrating mobility services in a proper way to lead to an efficient system. These systems should be locally managed (each region has its specificities) and extend themselves as a federation of systems. These systems must also be independent of the various mobility solutions and not associated with a defined technical solution or transport mode. For the first work package, there is a strong psychological barrier to remove, but here also, all the software and processes from engineering design to engineering system, safety and manufacturing are evolving to make innovation much easier to develop, even at the system level. There is indeed a growing contrast with what can be achieved in other domains by a proper use of modern engineering design processes and tools, associated with new manufacturing techniques on one hand and, on the other hand, the lack of innovation in transportation to address the sustainability issues in the past decades. To give an example, in matter of space travel, it was notorious that a large organisation was required to build and operate a rocket to reach space. This was certainly true during the space conquest in the 60’s and 70’s. Elon Musk has shown that it was possible to handle it from a private company with Space X with private funding. Copenhagen Suborbitals have also shown that with a vision, courage and motivation, the building and operating of rockets can even be done on the basis of a non-profit, amateur, all-volunteer organisation.